“When you’re a poet, or reading poems, you feel every single word. My favorite, Maya Angelou, was so knowledgeable and wise, and she poured her heart into every poem.” Myles Garrett. This week we believe our Matriarch is smiling as Myles Garrett and Serena Williams gather together in Maya Angelou’s name. Myles Garrett, we support your NFL draft and congratulations to Serena Williams & Alexis Ohanian and their child on the way! You are both elevating yourselves and our world through Maya Angelou’s words of wisdom. This is how we overcome hate and division, with love. Thank you. 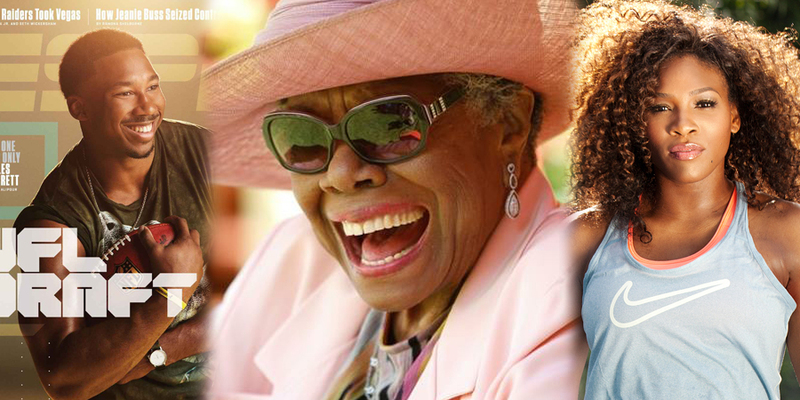 The Angelou Johnson Family.